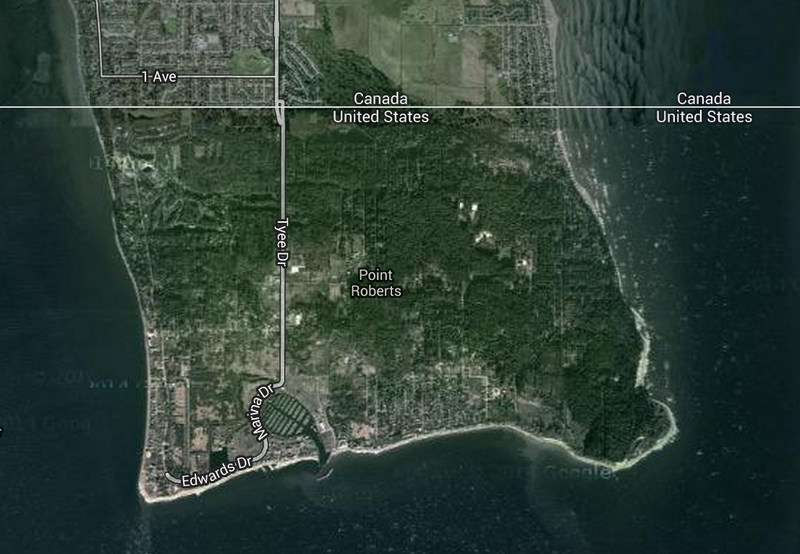 Point Roberts, Washington is considered part of the mainland United States, but it’s only connected by land to Canada. Although it’s connection to Canada is similar to Alaska, it’s not as far from the rest of the mainland United States as Alaska — it’s only about 8 miles (13 km) across the water. The nearest large city is Vancouver, British Columbia at roughly 22 miles (35 km) away. The Point Roberts school serves children from kindergarden through third grade. Older kids are shuttled on a 40 minute school bus ride that takes them out of the US, into British Columbia (Canada), and then back into the US again at Blaine, Washington. Then on the way home, they do it all over again. The population of Point Bob is roughly 1,314 according to the 2010 census. So, it might not be feasible to school all of the children on The Point. Many high schools have more students than Point Roberts has people. For a while, I travelled every single week of the year (except for Christmas). 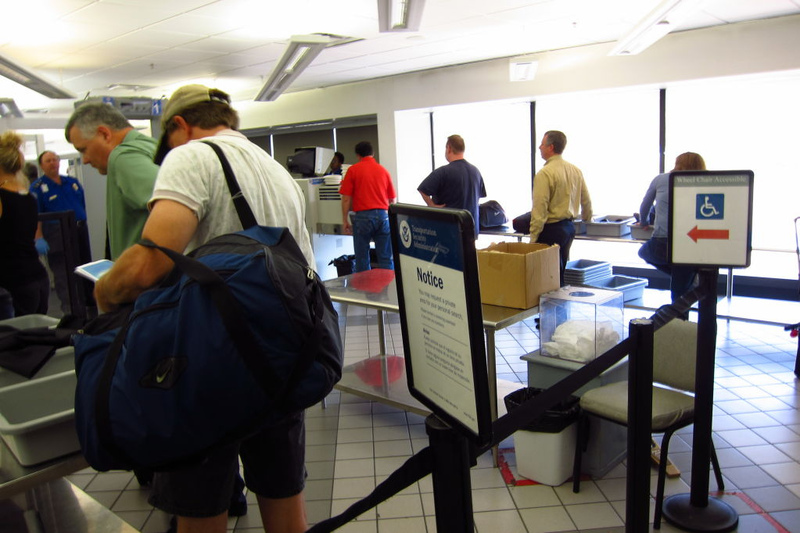 Of all the new airports, airplanes, taxis, rental cars, hotels, motels, customs, passports, visas, bad restaurants and other necessities, airport security was the most stressful. If you’ve ever had a really embarrassing driver’s license photo, you have to live with it. But, Americans have the luxury of shooting and printing their own passport photo. I’ve been saving hotel key cards for years because I want to see exactly what is on them. Years ago, somebody told me that hotel room access cards contained personal info and credit card data. The rumor was that this info was necessary for you to charge items to your room during your stay. I recently got my hands on a magnetic card reader and started swiping all my old cards. The results fit into three categories. The magnificent waterfalls known as Niagara falls are split on the US/Canada border. People come to see massive amounts of water flowing over the falls and that’s exactly what they get, during the day. While the falls are a popular tourist attraction, many people don’t know the water is an important source of power. There is one power company on each side of the border that draws water from above the falls to turn their generators. Unfortunately, drawing water from the river above the falls can impact what the falls look like. During the tourist season (April to October), the power companies must maintain the water flow over the falls at 100,000 cubic feet per second. That’s not very difficult since the river has a natural flow of about 212,000 cubic feet per second on a typical summer day. That means they normally draw about 100,000 cubic feet per second for power generation and allow that same amount over the falls. But at night, they can draw even more water and lower the flow at the falls to about 50,000 cubic feet per second. This extra flow allows them to turn their turbines and fill up their reservoirs so they have more water after the tourism flow is restored in the morning. Since the falls erode about two feet per year, drawing extra water at night also slows erosion so the falls will be around for many generations to come.